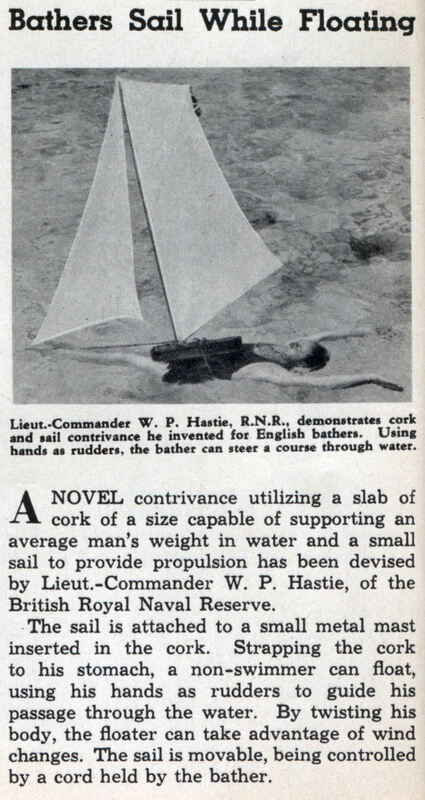 A NOVEL contrivance utilizing a slab of cork of a size capable of supporting an average man’s weight in water and a small sail to provide propulsion has been devised by Lieut.-Commander W. P. Hastie, of the British Royal Naval Reserve. The sail is attached to a small metal mast inserted in the cork. Strapping the cork to his stomach, a non-swimmer can float, using his hands as rudders to guide his passage through the water. 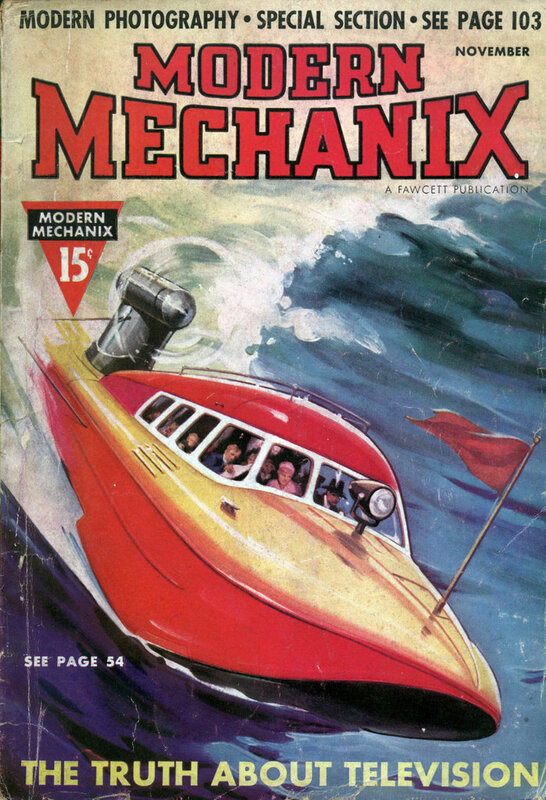 By twisting his body, the floater can take advantage of wind changes. The sail is movable, being controlled by a cord held by the bather.